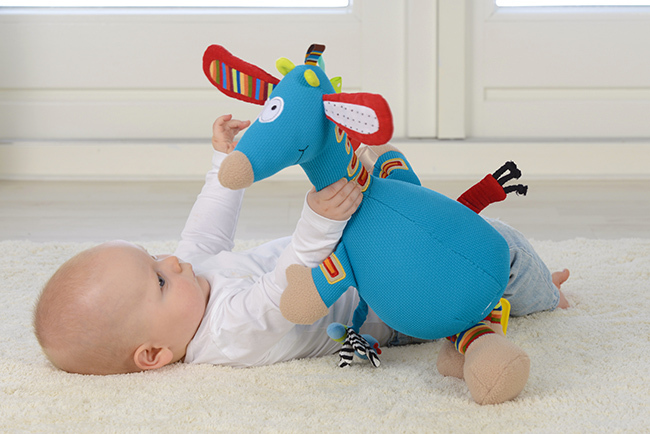 This friendly, colorful large giraffe is a musical delight for young children. 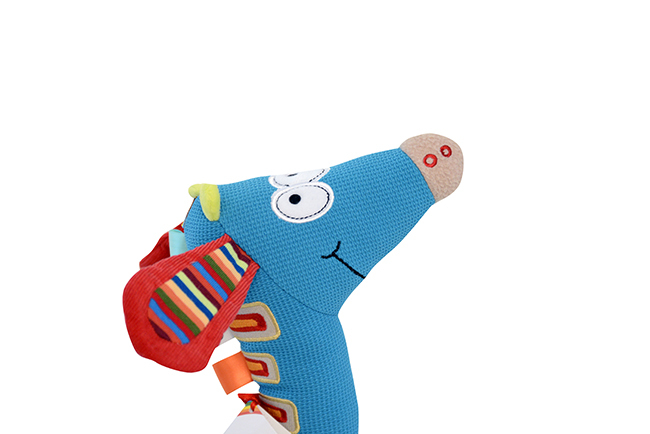 It will play a soothing lullaby to help relax children at bedtime by pulling the dragonfly attached to the stomach. Bright, contrasting colors makes it instantly appealing and interesting. • Sounds: Children will delight in creating musical sounds through pulling the dragonfly. 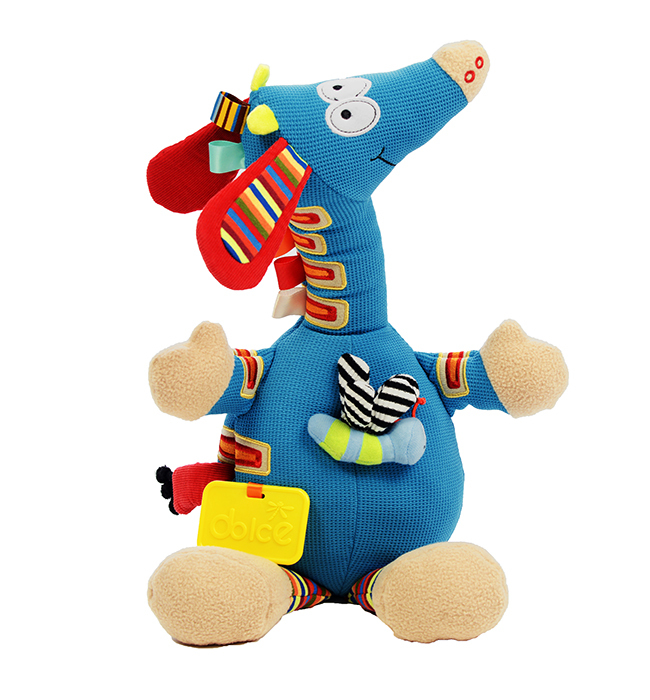 • Touch: The different textures and crinkle ears are extremely satisfying for children to play with. • Helps to connect motor skills with auditory learning by pulling string to hear a lullaby.